We are members of the Institute of Certified Practicing Accountants (ICPA) and The Certified Institute of Payroll Professionals (CIPP), both partners are members of The Association of Accounting Technicians (AAT), we have £300,00 worth of Professional Indemnity Insurance as a practice and can arrange Tax Investigation Insurance at cost price for all our clients. 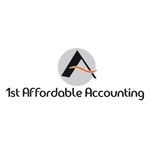 We offer a hassle-free, friendly, affordable Accounting, Bookkeeping & Payroll Service by post or email. Wherever you are in the UK, this is a service for you at a fraction of the cost of most Accounting Firms. A. Put all your paperwork in an envelope, these include Invoices, Both Sales & Purchase, Cash Payment & Purchase receipts, Bank Statements etc. or if you prefer scan them all and email them to us. B. Each month send them recorded delivery to us. C. Wait for us to send your monthly account pack. Why should you spend loads of time and money using software for your bookkeeping and then more money on expensive accountants when we can do it all for you at a much lower cost, we are a small business and as such we try to keep our overheads as low as possible whilst offering the same level of service as the big boys, we can pass the savings on to you in the form of lower fees. We understand that between running your business and spending time with your family there's not always enough time for the demands of the government, with VAT, Corporation Tax, Income Tax, PAYE, CIS and all the other ways you have become an unaid tax collector, why not let us deal with all this for you leaving you more time to spend running your business and spending time with your loved ones. 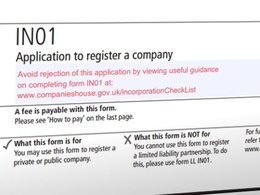 We don't want you to spend a fortune on the latest accounting, bookkeeping and payroll software, we don't want you to spend hours filling in complicated spreadsheets, we are not like other accountants, just send us your paperwork and we will do the rest, if we have any questions we will email you them so that you can answer them at your leisure. We know that you did not get into business to be an unpaid tax collector or spend all your time dealing with HMRC paperwork, you do what you enjoy and do best, running your business, let us do what we do best accounting, bookkeeping and payroll for you. We can provide any bookkeeping, accounting or payroll services you require, we use the latest versions of Sage 50 and Sage Payroll or if you prefer to be able to access your up to date accounts online we can use Sage One or your existing software with remote access. We can commit however many hours are needed to bring your accounts up to date and then produce new accounts for you on a monthly basis. We specialise in bookkeeping, accounting & payroll service for small and medium sized sole traders, partnerships, LTD's & LLP's. We are a small 2 partner practice based in Gloucester and have clients located all over the UK who use our accounts by mail or email services. The Senior Partner, John, has over 20 years’ experience in accounting, bookkeeping and payroll and has worked for many companies in many capacities including a company accountant for over 3 years in the last 5 years, and 10 years as a sole trader preparing annual accounts for small and medium sole traders, partnerships, LTD's & LLP's. We are happy to work on a price per hour, fixed price (as per our standard services and charges attached to our profile) or fixed price bespoke package tailored to your individual needs basis, please ask for further details on any of these options. We also offer our existing clients a referral incentive of 5% of invoiced spend as a credit off future bills to refer us to new clients. We are happy to give general advice to clients for free. We operate a fully National Accountancy Service from Gloucester. Work Experience Summary: I have worked for many years in the accounting field and have set up my own part time accounting business from home, i still work in accounts too. Job Done as agreed on time. Perfect. Excellent prompt professional and friendly service. I will certainly be using them again! I will pay you £5 if you like a Facebook Page for me? Excellent work and fast response. Online Accountant Needed - Professional with PayPal transactions.